My guest on this week’s episode of The Doctor’s Farmacy will show you how to be smarter, stronger, and more resilient. 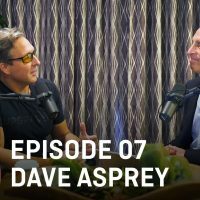 Last year when I got really sick due to a perfect storm of mold toxicity, a horseback riding accident, and dental surgery, I went to my friend Dave Asprey for help. 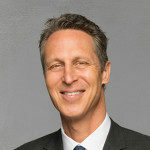 Dave is one of the smartest people that I know, and I trust his advice more than I trust the advice of many physicians. Many of you are familiar with Dave’s work through his groundbreaking company, Bulletproof. Dave has been one of the champions of vindicating fat, and he has dedicated his life to biohacking which essentially means creating the best, most resilient version of yourself. 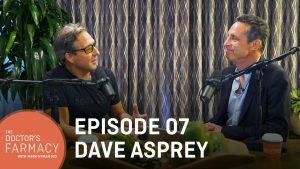 Dave’s biohacking journey has inspired me to expand my ideas of what is possible when it comes to our health. As a young man, Dave was 100 lbs overweight; he was suffering from cognitive decline, and he was tired all of the time. He took his skills as a hacker in Silicon Valley to hack his own biology. Over the last two decades, Dave has worked with world-renowned doctors and scientists to uncover the latest, most innovative methods for enhancing mental and physical performance. He is living proof that you can reset your metabolism, upgrade your brain, and transform your life with what you eat and how you live. In this episode, Dave and I dive into one of our favorite topics: mitochondria, the key energy sources for our bodies. Mitochondria are tiny factories housed within our cells that take the foods we eat and the oxygen we breathe and convert them into energy. When your mitochondria aren’t working properly, your metabolism runs less efficiently and can even practically shut down. Problems occur because these powerful energy producers are VERY sensitive and easily damaged. When they are damaged, we suffer from low energy, fatigue, memory loss, pain, rapid aging, and more. Unfortunately, most people are suffering from mitochondrial dysfunction. Dave and I discuss what can harm our mitochondria, things like environmental toxins, food allergens, sugar, and bad fats. We also talk about ways to boost our mitochondria including gratitude, and Dave shares his favorite, inexpensive tip for pumping up your mitochondria today. This tip takes one minute, and it can make a big difference. If you want to become more resilient, strong, and sharp, check out this episode of The Doctor’s Farmacy, available on iTunes and anywhere you listen to podcasts. You can also watch it on YouTube.